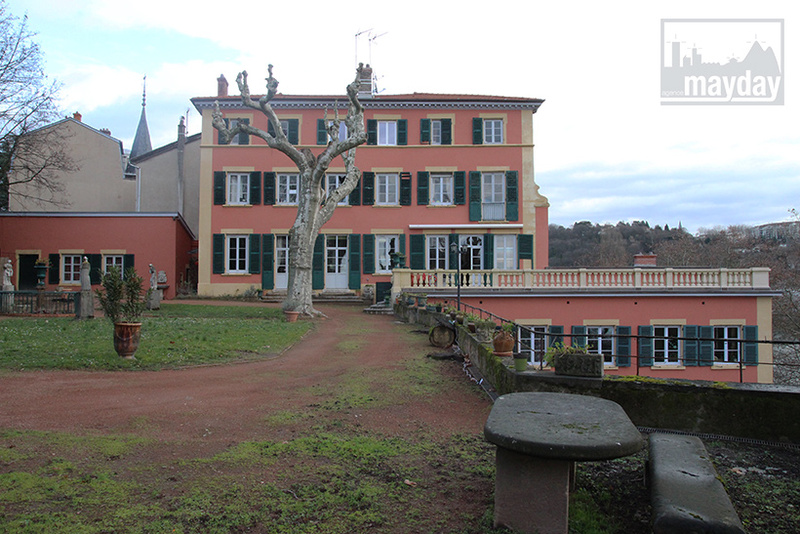 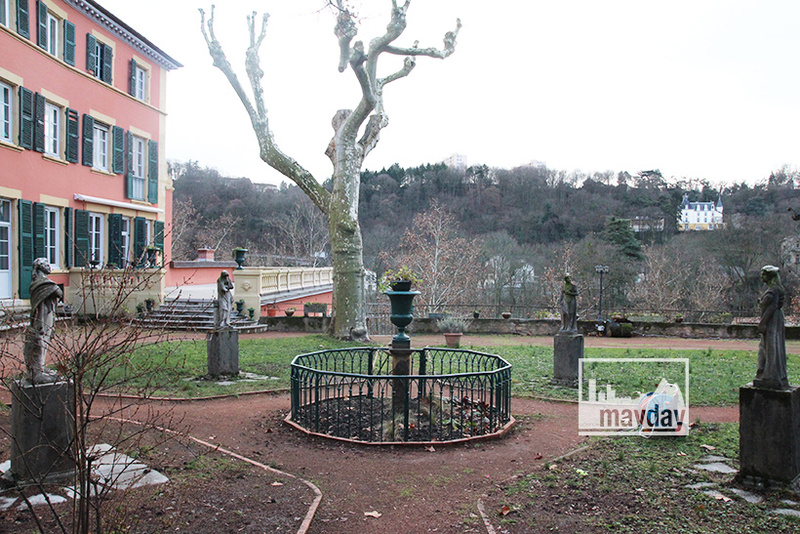 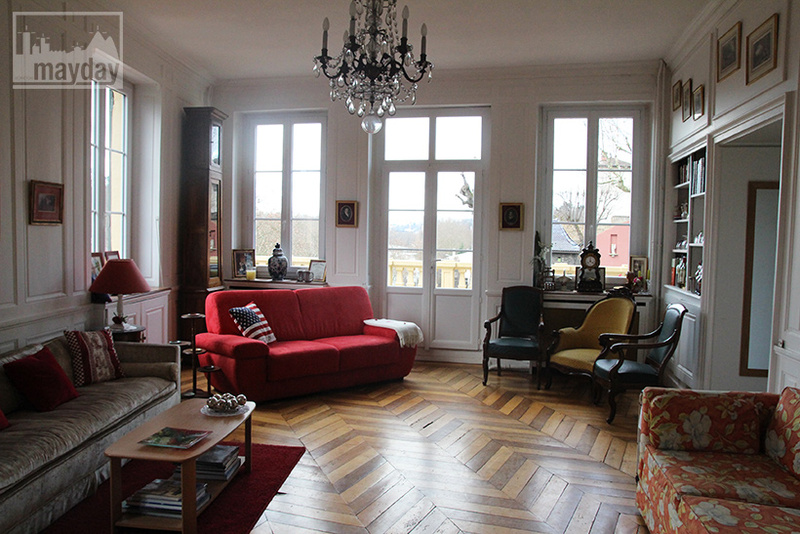 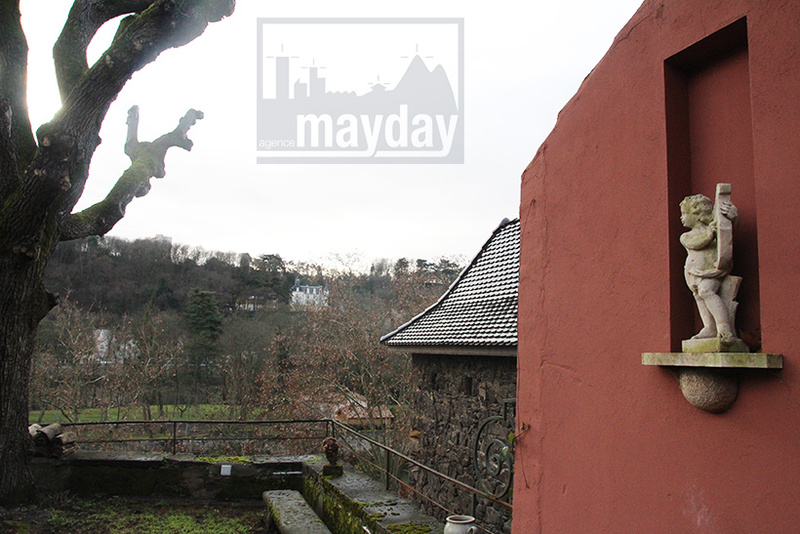 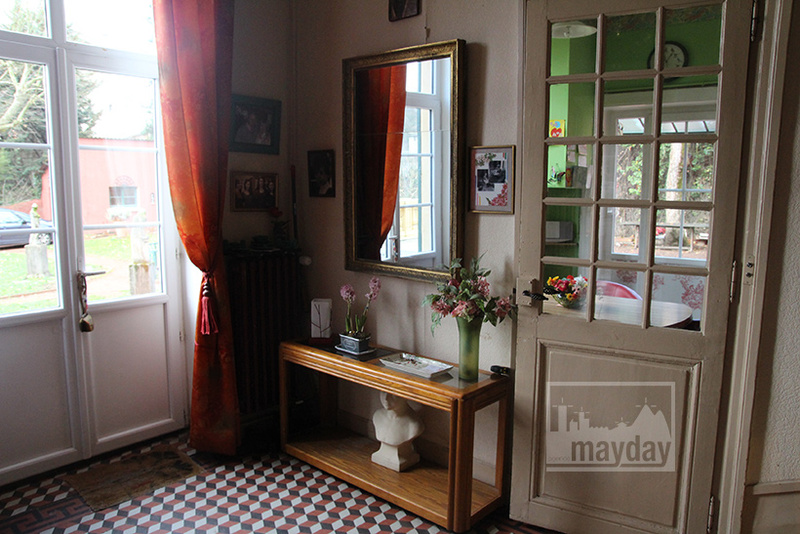 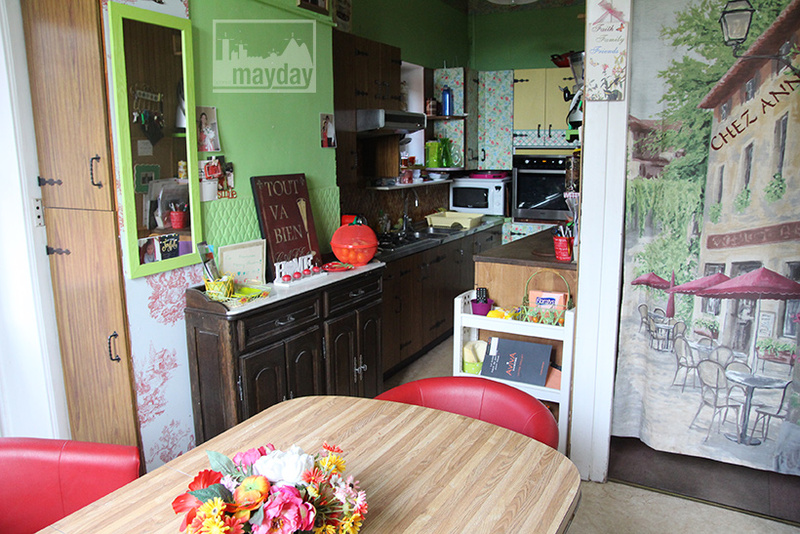 River Saône’s angels domain (clav0058) | Agence Mayday, scouting agency | Best location for your project concerning : feature films, TV, commercials, promos, photo shoot & events. 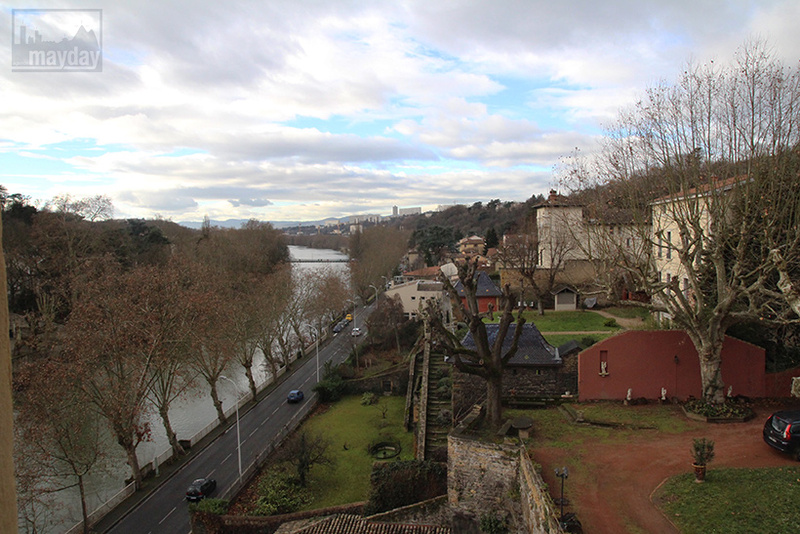 Beautiful 17th century domain overhanging the Saone river, located near Lyon. 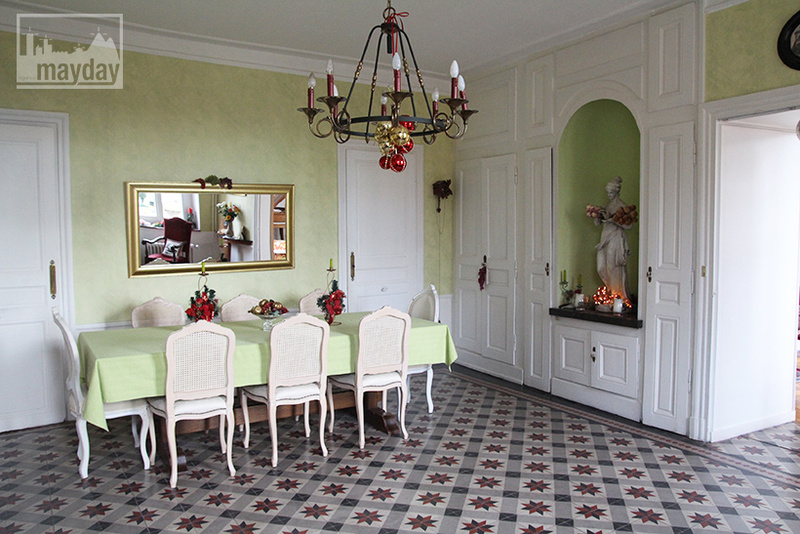 The mansion features that particular “Medicis” red color typical of the city’s historical buildings. 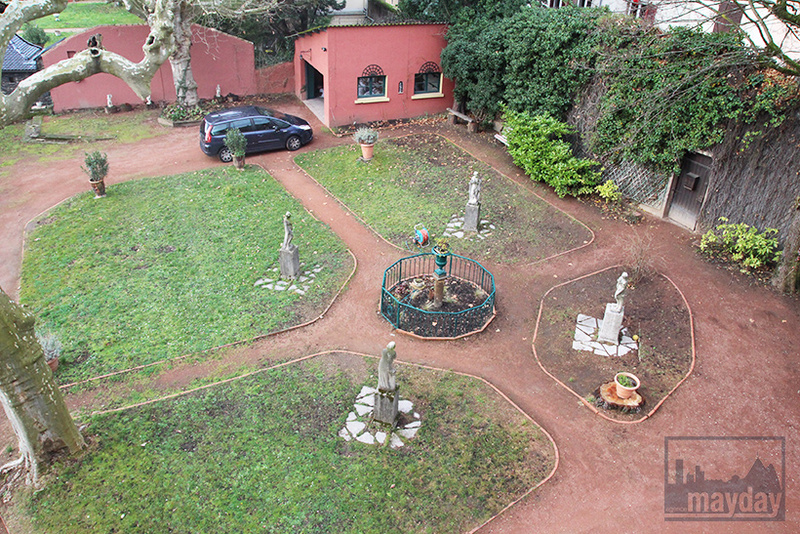 You can appreciate a walk in the garden and terrace overlooking the river, filled with angel statues and antique vases. 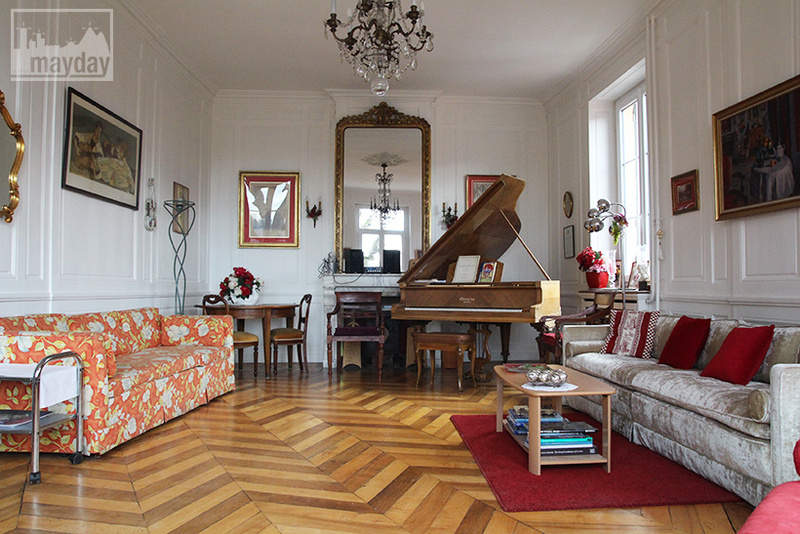 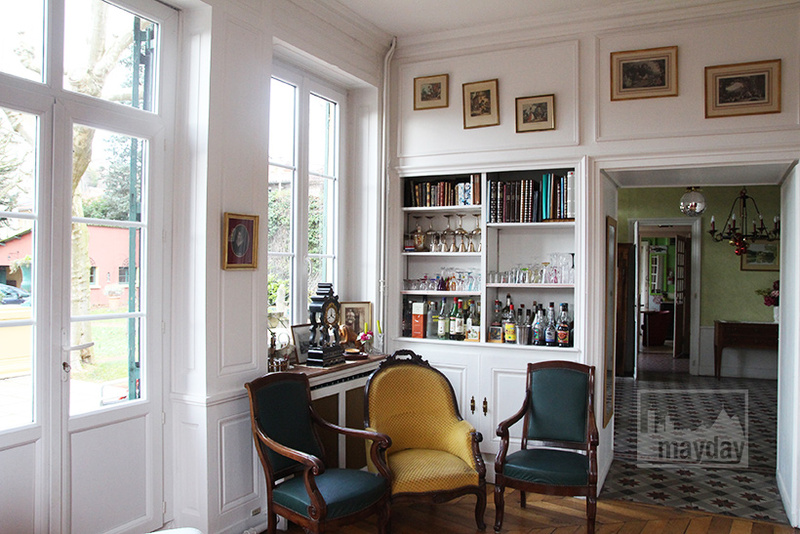 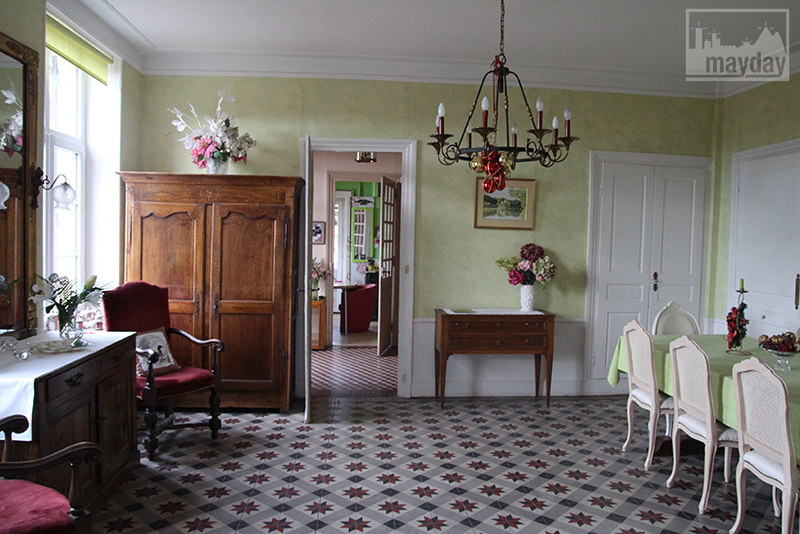 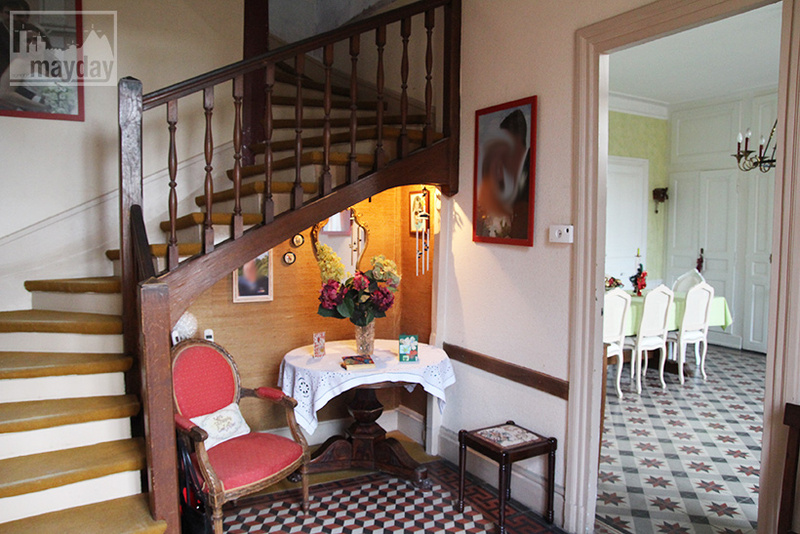 The property’s interior is composed of two spacious living roms with parquet floor and cement tiles on the ground floor, and of several non-renovated bedrooms on the two floors above. 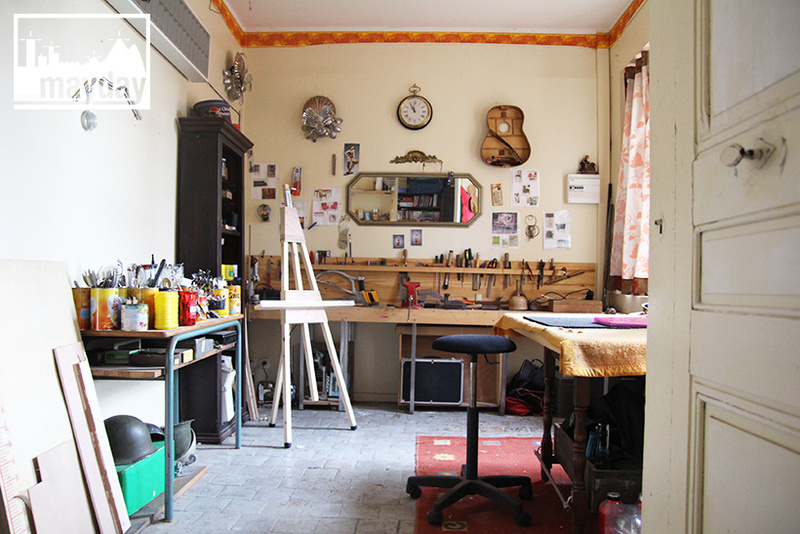 The property’s exterior is further dressed with a charming workshop and a large two-car garage opening on the street. 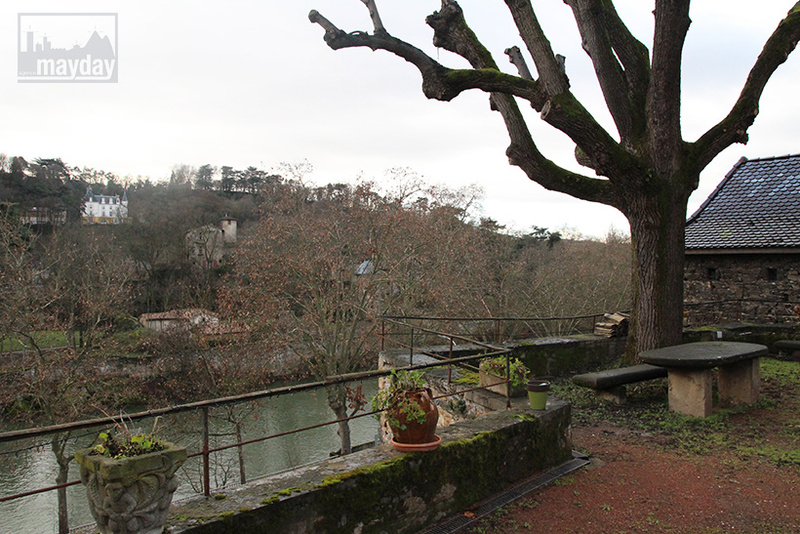 Location: 15 minutes away from the city centre.